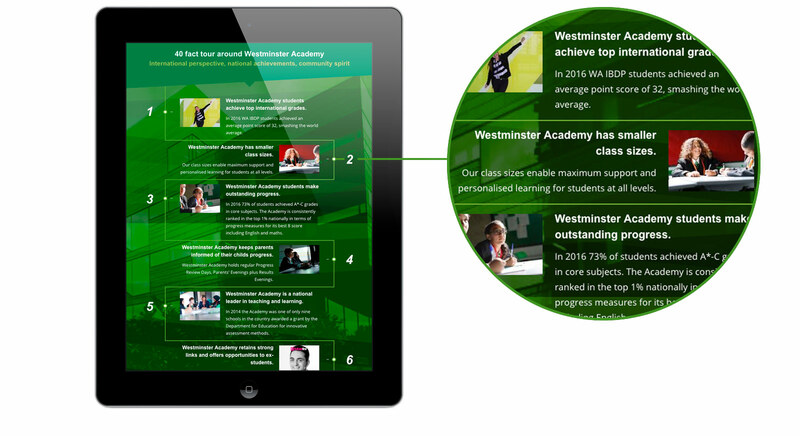 As an award-winning provider of education, Westminster Academy approached Cleverbox to refresh their marketing campaign to better reflect their unique offer. Inspired by the architecture of the school and the bold graphical lines of the logo, our creative concept utilised strong geometric shapes. This design feature is evident throughout the suite of materials, which comprises a school website, main school and sixth form prospectus, folder, and supporting materials such as stationery and PowerPoint template. 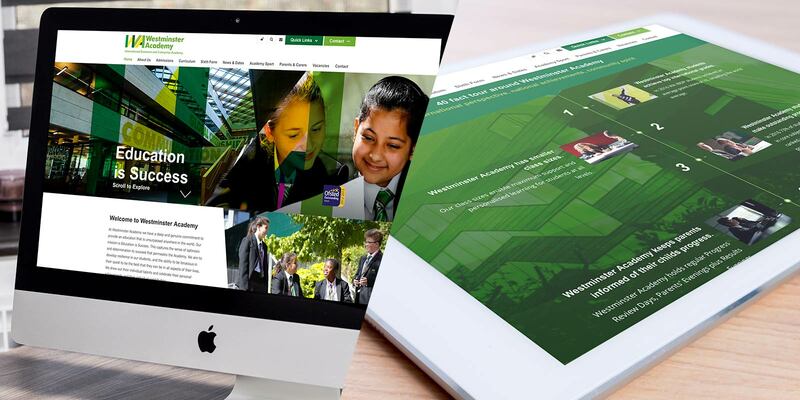 The website includes a dynamic home page image which adds visual impact when you first arrive at the site and sees the introduction of a new Cleverbox Timeline Module to communicate forty key facts about the school. We were immediately struck by the care and thought that had gone into producing a design that was personal to our school. Each member of the team supported us with interest and enthusiasm, clearly motivated by not only ensuring our satisfaction but creating the very best product. 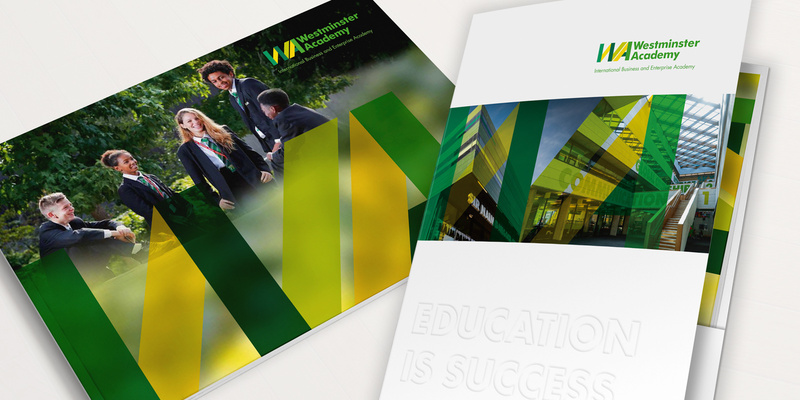 The result is an eye-catching, professional design and a hugely strengthened brand which has drawn praise from our school community.